American businesses are spending more than $600 billion every year on healthcare, and this sum is increasing by about 5% annually.1 Much of this money goes directly to health benefits for these organizations’ employees, and with employer-sponsored health insurance alone providing medical coverage for nearly half of our country’s population, it becomes extremely important that this money be put to good use.2 Recent evidence from the Employee Benefit Research Institute (EBRI) suggests, however, that there is significant room for improvement. To further complicate things, employer health benefits often extend beyond traditional health insurance, with many organizations now providing options for initiatives like wellness programs, dental insurance, vision coverage, pharmacy benefits, gym memberships, mental health counseling, dietary consultants, and health reimbursement arrangements (HRAs). When it comes to healthcare, workers must now remember a large panel of offerings beyond just their insurance plan, if they want to make efficient use of their benefits. This sprawling, intricate landscape has led to a predictable situation in which employees do not understand the health benefits that are available to them. 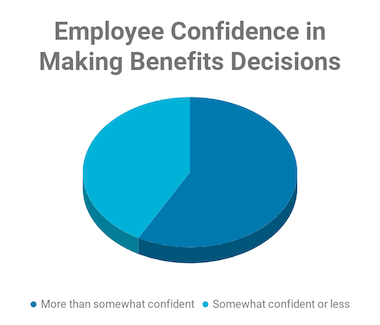 In the EBRI data, for instance, only 52% of workers felt that they understood their health benefits better than “somewhat well.” Fitting hand in hand with this, only 58% of EBRI respondents were very or extremely confident when it came to making benefits decisions, with the remainder being only “somewhat confident” or worse. This number is down from 73% a few years ago, too, so the situation appears to be worsening. As a final compounding red flag, separate research indicates that Americans typically overestimate their ability to understand and evaluate benefits like health insurance. For each of the basic insurance terms cited above, 68% of people will respond that they “definitely understand it,” yet only 45% of them can actually pick the correct definition.4 Combined with the EBRI data, this suggests the concerning possibility that, while 52% of employees believe that they understand their health benefits, the number who actually do is much lower. In the EBRI data, a full 31% of workers reported that their employers provided no education or advice on any benefit topic. 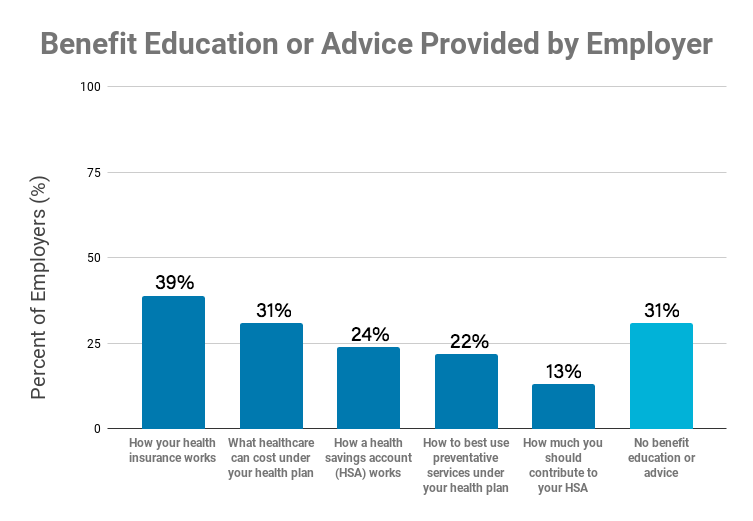 For health benefits in particular, only 39% of employees received any guidance on their health insurance, with specific subtopics faring even more poorly; less than a quarter of people had any teaching on how HSAs work, for instance. Since the EBRI research is based solely on worker recollection, it is entirely possible that companies are providing benefits guidance and their employees just aren’t retaining it. This would still be concerning, though, because the only two important outcomes are what employees actually know about their benefits and how confident they are in that knowledge. Employers simply aren’t doing enough to inform their employees about their health benefits and how best to use them. Most employees could use some help understanding their health benefits, and the EBRI study suggests that almost all of them would gladly welcome such assistance. 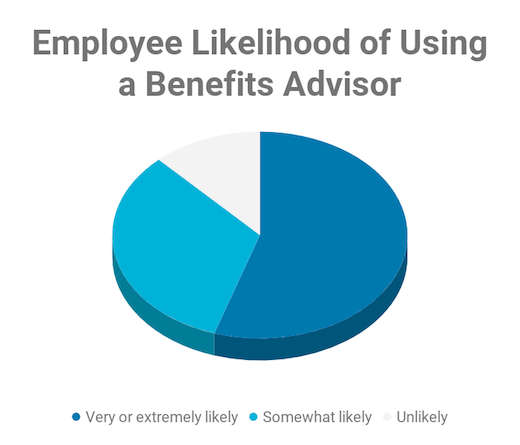 When asked, 55% of workers reported that they would be “very” or even “extremely” likely to make use of a benefits advisor, were one made available to them, and that number expands to 88% when you also include people who would be at least somewhat likely to. As with anything in American healthcare, there is unlikely to be one silver-bullet solution to employee confusion over health benefits. The EBRI study and other data suggest, however, that providing health benefits navigation is likely to be a straightforward, well-received, and highly effective strategy for employers to pursue. 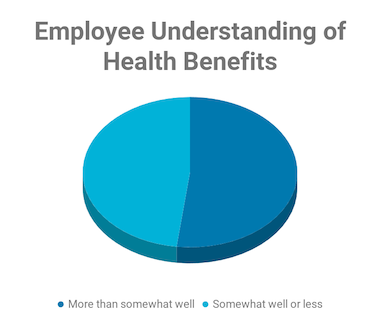 Perhaps most importantly, employees want health benefits guidance. They are aware that modern benefits are complex and that they need help with them, so there’s a willing audience. Since engagement is often the most difficult part of education, health benefits navigators can let companies meet their employees where they want to be. Providing benefits navigation also gives companies a great opportunity to direct their employees to the highest quality and most efficient care resources. Cost certainly does not equal quality in American medicine, and benefits navigators can easily provide value for both employee and employer by identifying and routing away from waste. The situation is clear: health benefits are complex, employees don’t understand them as well as they want and need to, and benefits navigation can help fix the problem. At Spruce, we’re working with employers to address this, designing workflows that use our secure communications platform to let employees quickly and easily connect with important in-house resources like onsite medical teams and benefits navigators. We’ve seen many times that good communication is the basis of effective medicine, and this starts with helping people understand and choose among their care options. A better future for health benefits is in sight; we just need to navigate to it. Wilson, K. B. Health Care Costs 101: A Continuing Economic Threat. (California Health Care Foundation (CHCF), 2018). Claxton, G. et al. Health Benefits In 2017: Stable Coverage, Workers Faced Considerable Variation In Costs. Health Aff. 36, 1838–1847 (2017). Fronstin, P. & Greenwald, L. The State of Employee Benefits: Findings from the 2017 Health and Workplace Benefits Survey. EBRI Issue Brief (2018). Hoffman, J., Radius Global Market Research & Policygenius. 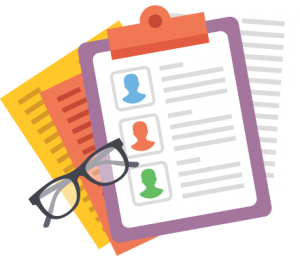 Policygenius – Health Insurance Literacy Survey. (Policygenius, 2016). Robinson, J. C., Whaley, C. & Brown, T. T. Association of Reference Pricing for Diagnostic Laboratory Testing With Changes in Patient Choices, Prices, and Total Spending for Diagnostic Tests. JAMA Intern. Med. 176, 1353–1359 (2016). What Drives the Cost of Healthcare for the Working-Age Population?